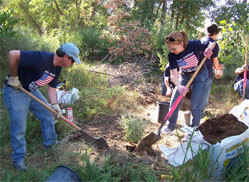 Are you interested in volunteering to help our environment, keep our waterways clean and improve our neighborhoods? If so, you have come to the right place! Check out all our volunteer opportunities below, and then sign up to be added to our volunteer email list. Needed: Nature-loving volunteers for a new “citizen scientist” project! 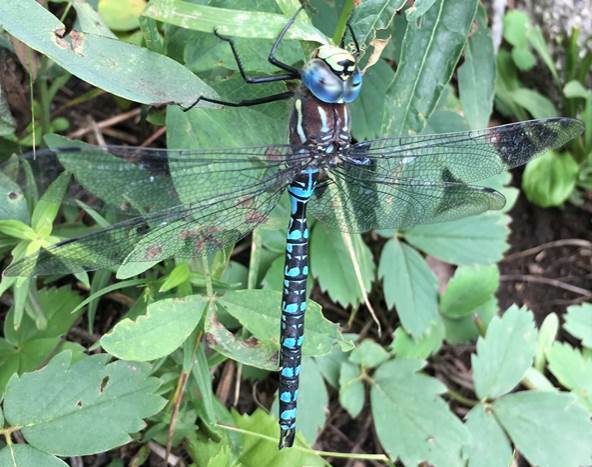 Thanks to a new partnership with the Butterfly Pavilion of Westminster, our Sand Creek Greenway friends and volunteers are invited to participate as “citizen scientist” volunteers to measure the impact of climate change on migratory and resident dragonflies on our Sand Creek! Commitment: Attend a training session and then visit a designated section (0.5 to 1 mile) of the Greenway 6-12 times between May and October to measure the presence of dragonflies on our Sand Creek. Who can participate: People over 16 years old (or parents with kids at least 8 years old). Pairing up is recommended and only one person needs to attend the training. This group is made up of community members who volunteer on the first Saturday (with a few exceptions!) of each month from 10 a.m. until noon all year round. Put the following dates on your calendar! Volunteer activities include trash pick up, removing invasive species, planting native trees and shrubs, removing graffiti, and repairing the trail. We welcome all volunteers: singles, families, retirees, students, and children over five. 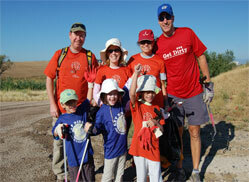 We offer year-round group volunteer opportunities for schools, businesses, community groups, and more. 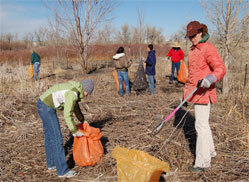 For more information, please contact general staff at (303) 468-3263 or cgarwood@sandcreekgreenway.org. Click here for a list of our most current volunteer opportunities.